We are factory trained and authorized, with over 20 years experience. Call North Shore Power We'll pick them up and recycle them for you. North Shore Power Electronics, LLC Service provides 24 hour 7 day week service for Uninterruptible Power Supply (UPS Battery back-up), Commercial and home standby generators, and Emergency Lighting Inverters. Serving: New York City (All Boroughs), Westchester, Long Island, New Jersey. Trained at the factories facility and certified from Ferris State. WE THRIVE ON KEEPING YOUR POWER PRODUCTS ALIVE! – COUNTLESS UNITS WE SUPPORT ARE OVER 10 YRS OLD AND RUNNING STRONG! We are Factory trained and authorized, with over 20 years experience servicing UPS systems, North Shore Power Electronics, LLC is dedicated to providing your company with cost effective and responsive service. North Shore Power Electronics, LLC Service provides 24 hour 7 day week service for Uninterruptible Power Supply Systems, Emergency Lighting Systems and related power equipment. Serving: New York City (All Boroughs), Westchester, Long Island, New Jersey, Pennsylvania and Connecticut. Many other service companies and dealers etc. are very anxious to SELL you new batteries or a new system. 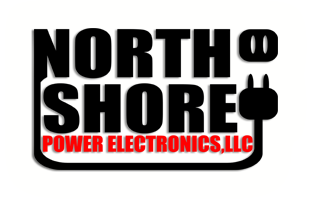 At North Shore Power Electronics, LLC our goal is to maintain your present system and keep it running at peak efficiency and not sell you components or systems you do not need. Dave was very helpful in getting an old generac whole home generator up and working at my new house. I am generally very handy and he was very informative and helpful in getting the generator functioning. Dave went out of his way to walk me through the repairs. I have no hesitation in using the company again for service and sales. They fixed my generator right away. The repair was covered by the warranty so I didn't have to pay anything. They did all the required paperwork. I didn't have to do anything. They followed up with me, after the repair, to make sure my generator was still working properly. I strongly recommend you call them. Excellent service, prompt, and efficient. You won't find a more qualified and proficient service person. Highly recommended. Beyond my expectations. The technician arrived on time and knew the generac generator inside and out. He was friendly and very informed about the product. He could have just left after fixing the problem, but instead he waited to make sure my battery was charging properly. I feel lucky to have found someone that I can trust my maintenance to. I like the Generac generator and it's features and it's good looking design. After using our generator for 12 days straight after hurricane sandy (oct. 2012) our generator went caput! after thinking the repair would be costly it turned out to be an oil change. that was the first time we used dave. the second time (other than regular upkeep) dave had a bigger issue to deal with. since there are many parts that can falter it was a process of elimination that our generator has been confidently fixed. dave is polite, clean, timely, and CAN fix any problem. highly recommended. Call us at 888-302-6621 or Message us today. We have a full supply of batteries and battery packs. 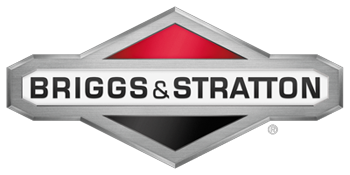 We have all kinds of parts from some of the most popular generator manufacturers, call us! Our Specialty, No generator is too big and no generator is too small. We maintain your present system and keep it running at peak efficiency. Just need to rent a unit? Contact us to see what we can offer. Call today for System Consultation. We provide services such as removal and demolition of old systems. We can provide emergency lighting systems and related power equipment. Got a new system? Call us for prices and quotes for installing them today! Yes, we are Environmentally EPA Compliant. All your problems can be prevented before they even occur. Over 20 years experience with UPS & generator service and repair. On call 24/7 for emergencies. All UPS batteries or units PROPERLY RECYCLED to help save the planet. ©2015 North Shore Power LLC. All Rights Reserved. Personal Generator Care, Sales Service and Repair.